Just a quick note here to point out a very nice article by Adrian Cho in Science magazine about life in the trenches on ATLAS and CMS, the biggest LHC experiments. I think it captures the working environment very well — it’s a fascinating balance of collaboration and competition. 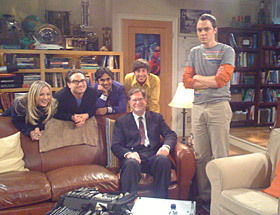 Beyond that, I’ll let Adrian, and the physicists he interviewed, speak for themselves. Enjoy! Editor’s Note: Fermilab is getting ready for its annual meeting that draws together many of the 2,311 scientists across the U.S. and globe that work with Fermilab as well as staff physicists and engineers. While it could be a time of sadness and reflection with the Tevatron set to shutdown, physicists are finding that Fermilab still has a lot to offer in terms of exciting, ground-breaking science as Fermilab Director Pier Oddone outlines in his weekly column. 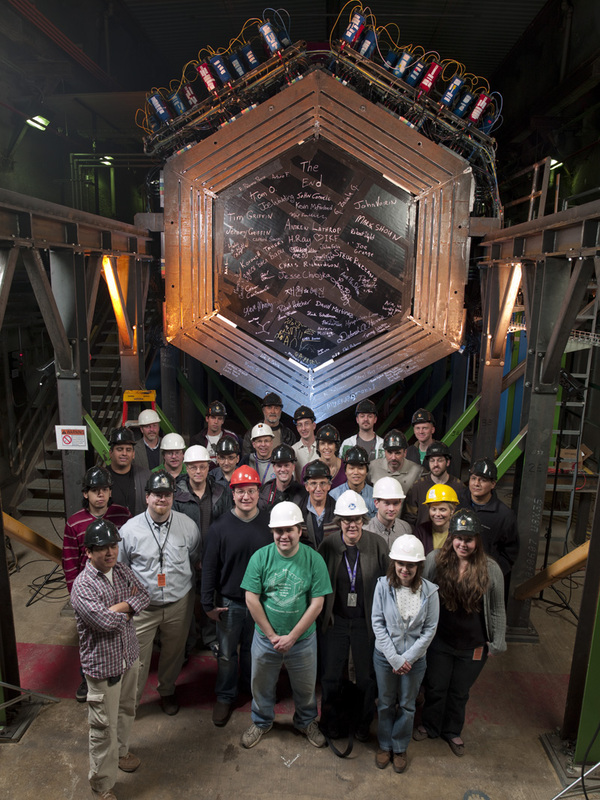 This article first appeared in Fermilab Today May 24. The 44th edition of the Users’ Meeting will take place on June 1 and 2, and it should be very exciting. The Users’ Meeting is a well-established tradition at Fermilab. Every year it showcases results from the entire Fermilab experimental program, alongside discussions of the lab’s future program and presentations from government officials about policies applicable to particle physics. This year we are very fortunate to have the Secretary of Energy, Dr. Steven Chu, presenting the Meeting’s public lecture at 8 p.m. on June 2. 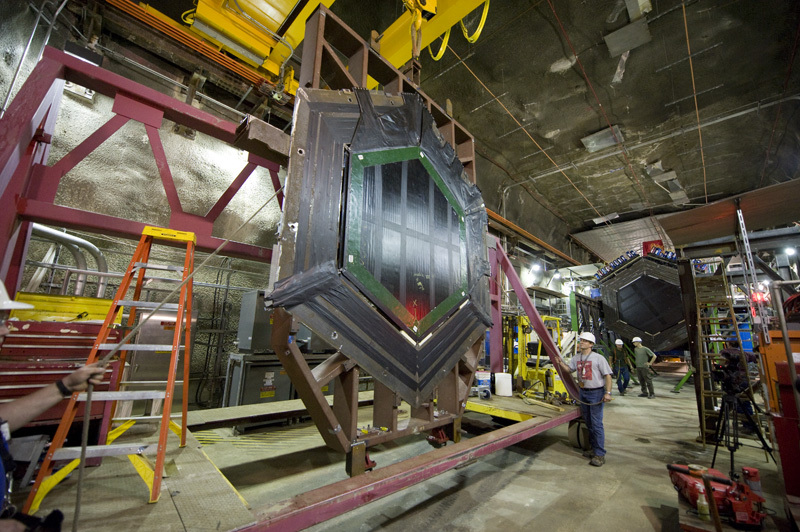 This year has a special edge as we approach the end of data collection at the Tevatron. This remarkable machine is achieving luminosities considered impossible decades ago with antiprotons — more than 4 x 1032 cm-2sec-1 instantaneous luminosity, with 11 femtobarns of accumulated luminosity recently celebrated. The Tevatron’s two international collaborations CDF and DZero have many achievements of their own, including major discoveries that have established our Standard Model of particle physics. 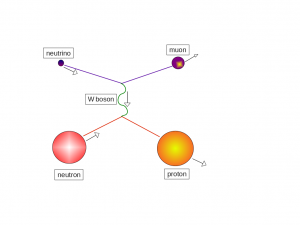 There is still juice left in the Tevatron and we may yet establish processes beyond the Standard Model if some of the collaborations’ recent results are confirmed. We also have hints of unexpected results in the neutrino sector, with neutrino oscillation data from MiniBooNE and MINOS. 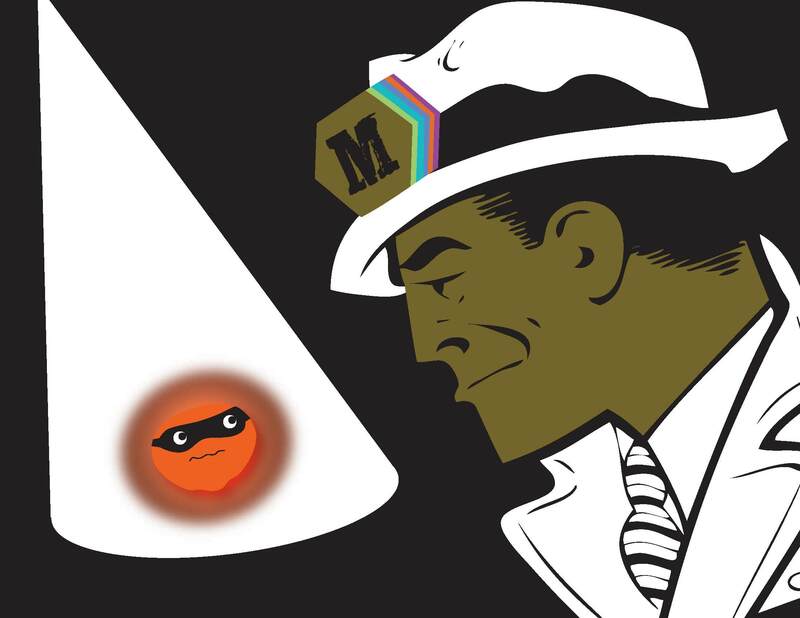 Looking to the future, MINERvA is laying the foundation for understanding different nuclear targets, NOvA construction is proceeding well, and there are new proposals to extend MINOS running. The Dark Energy Survey is nearing completion, better detectors are in development for the Cryogenic Dark Matter Search, and the COUPP dark matter search is operating a small prototype at Sudbury and a larger 60 kg prototype in the NuMI tunnel. Pierre Auger continues to provide interesting results with ultra-high-energy cosmic rays. 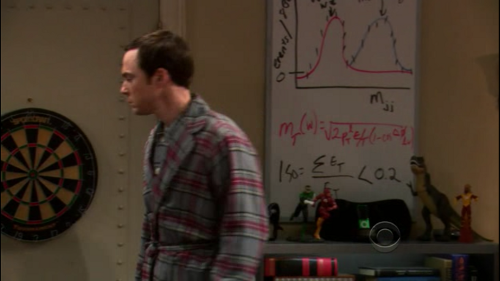 And the LHC is working splendidly and results are coming out at a fast pace. We are also in a critical year for two long-term projects, LBNE and Project X. 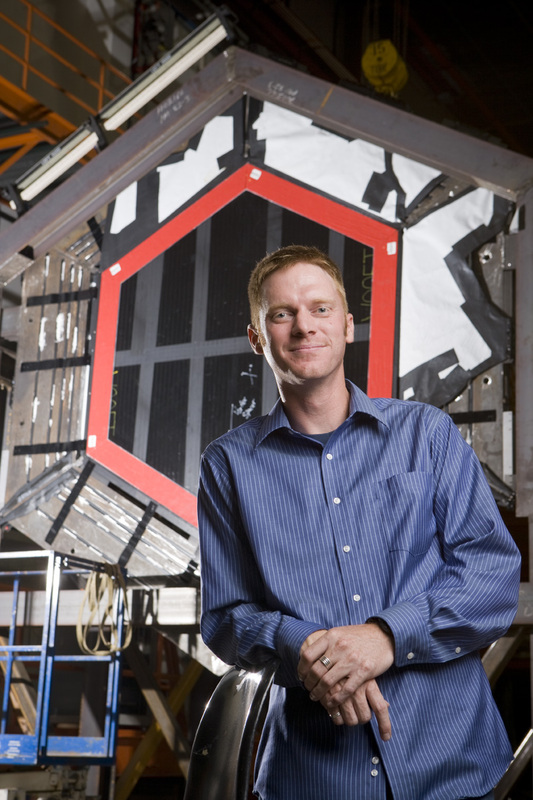 In addition to Project X’s broad Intensity Frontier physics program, it can serve as a foundation for a neutrino factory if one is needed to fully understand the physics of neutrinos. Looking even farther ahead, we are studying the feasibility of muon colliders as a path back to the Energy Frontier. All this activity augurs a great Users’ Meeting next week. 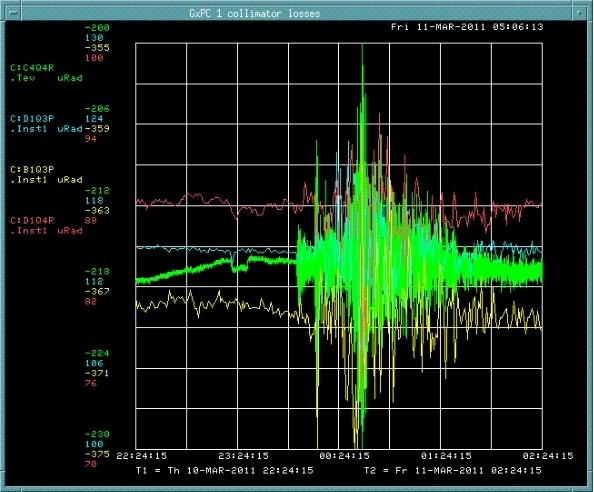 This screen image from the Tevatron main control room shows how the earthquake in Japan March 11 affects superconducting quadrupole magnets in the accelerator tunnel. When the 8.9-magnitude earthquake struck Japan last week, Fermilab felt the jolt emotionally and physically. Accelerator operators in the main control room of the Tevatron saw the heart-rate-monitor-style tracking system for the more than 1,000 superconducting magnets go into cardiac arrest. This signaled the forward and backward pitch and side-to-side roll of the 4- ton, 20-foot-long magnets buried underground. And that meant somewhere, something very bad had happened. The monitor readings came from sensors called tiltmeters on underground magnets that steer particles around the four-mile Tevatron ring. They record vibrations too tiny for people at the laboratory to feel, including seismic waves from earthquakes thousands of miles away. The last time the magnets rocked like that was in 2010 when a 7-magnitude quake struck Haiti. The Tevatron also recorded a 2007 quake in Mexico, a 2006 quake in New Zealand, and earthquakes that triggered deadly tsunamis in Sumatra in 2005 and Indonesia in 2004. In all, the Tevatron has felt disaster more than 20 times. A December 2010 symmetry magazine article explains how physicists first noticed the Tevatron’s super sensitivity, and how they work to make sure it doesn’t interrupt the laboratory’s multi-million-dollar research efforts. has a long and fruitful history of working with Japanese physicists and institutions. Japanese scientists have been involved with Fermilab from about the beginning of the experimental program in the early 1970s and became key members of the Tevatron’s CDF collaboration in the early 1980s. Many Fermilab scientists, engineers and technicians have friends in Japan, from Japan or have worked at its high-energy physics laboratory, KEK, or JPARC, the high-energy accelerator complex. In 2010, the most recent data available, Fermilab had 80 visiting researchers from Japanese institutions spread throughout the country, including the areas hardest hit by the earthquake and tsunami. Those scientists are valuable members of several experiments, particularly the CDF collaboration and the accelerator research program. In all likelihood, the Japanese contribute even more to Fermilab’s research program because the also work at the laboratory as users from non-Japanese institutions, but a statistic on the number of those users is unavailable. Darwin Smith gathered a group of students to drive four hours to exhibit physics concepts science-fair style at Fermilab. The Hamilton high school teacher got no complaints from these seniors even though they were giving up a beautiful Sunday and many had only had a few hours of sleep. The draw was the rare chance to show their love for science and see how their skills stacked up to peers from big city schools. Judging from the consistent crowds of children and adults that pressed up against their exhibits, this rural school stacked up just fine. During the five hours of the Fermilab Open House Feb. 27, the Hamilton students along with peers from other schools rarely had time to catch their breaths. Fermilab’s first venture into showcasing student-designed, hands-on exhibits at its Open House delighted visitors and offered a chance for students to flex their creative, independent study and critical thinking skills. Politicians and education experts recently have touted the need for such critical thinking skills to keep the U.S. economy strong, build a tech-savvy workforce and a science-savvy voting public. Yet, the traditional germination grounds for these skills have dwindled amidst school budget cuts, volunteer shortages and limited time in the academic day. 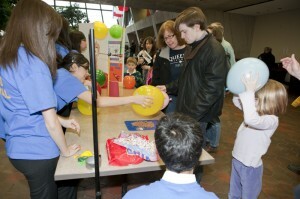 Many of the 12 student teams from Chicago, Hamilton, Glenview, Naperville, Skokie and Orland Park that were manning exhibits at Fermilab said that they lacked chances to partake in the science fair right of passage or similar events. That is a national issues according to a recent New York Times article. 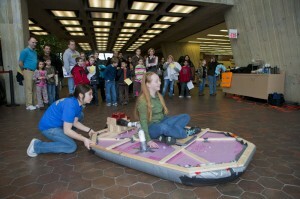 The physics club McCarthy belongs to created a hover craft using plywood and a leaf blower that sent children sliding across the lobby like air-hockey pucks. “We knew that would differentiate us from the other experiments,” he said. Not only did the students have to come up with a physics concept such as magnetism, force and motion and light that they could illustrate and explain to all age groups, but they also had to tap marketing magic to draw and keep a crowd of fickle preteens. The Naperville Central High School Girl Engineers Mathematicians Scientists, or GEMS, club built its experiment around lasers; Cristo Rey Jesuit High School in Chicago gave candy as prized to its static electricity race. Fermilab Education Office Director Marge Bardeen saw teens in Spain undertaking similar exhibits at public events and brought the idea home to Fermilab. Local schools were quick to jump at the chance. “We thought it would be good for the young kids who come to the open house to have role models closer to their age and to see that through school activities they can be well on their way to becoming scientists,” said Spencer Pasero, Fermilab education office program leader. Michelle Kwon, a fourth-grader from Glen Ellyn, said it was great to see girls explaining how lasers work because she’s heard the stereotype that girls can’t do well at math and science. 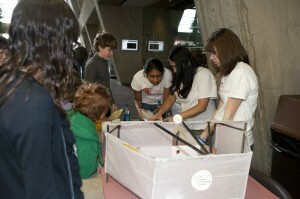 She also preferred learning science concepts from teens rather than adults. “They explain it better,” Kwon said. The teens themselves also found the concepts got cemented in their brains after learning how to distill the science to sound bites and elementary-school level language. “I think I can explain it better and actually understand it better after saying it 50 times,” said Allison Von Vorstel, a senior at Carl Sandburg High School in Orland Park. This story appeared in the February issue of symmetry magazine. 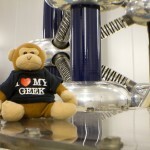 Visitors often go bananas over Fermilab, but they rarely bring monkeys along. 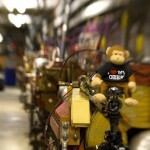 Virginia resident Todd Palino had Timmy, a seven-inch-tall stuffed monkey, tucked into his camera bag when he took part in the laboratory’s first amateur photowalk. It was part of an international event that took photographers behind the scenes at five physics labs in August. 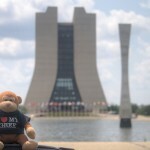 he had snagged a spot at the Fermilab event, they asked if he would take a Timmy monkey along. He agreed; and once there, he discovered that Illinois photographer Mike Frighetto had done the same. They snapped shots of Timmy sitting on a superconducting cryomodule, on a liquid nitrogen tank, near the Cockcroft Walton pre-accelerator, and in front of Fermilab’s iconic Wilson Hall. Palino tweeted his photos, which ThinkGeek reposted.